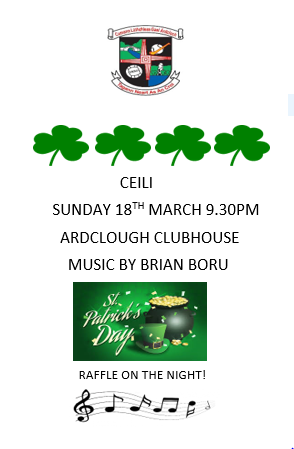 Ceili in the Clubhouse! Celebrate St Patrick’s weekend with some Craic and Ceol! Bigi Linn! !